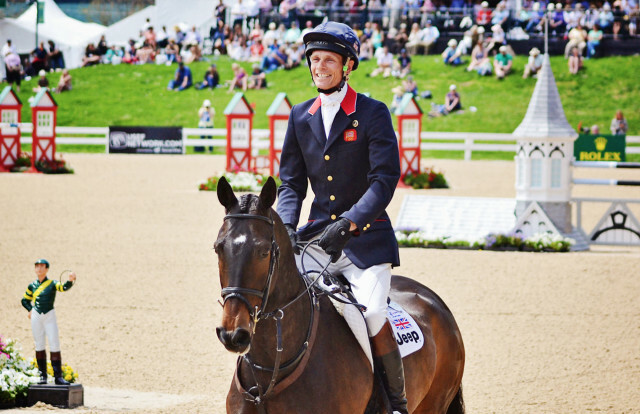 William Fox-Pitt is cross the pond to compete in Grand-Prix Eventing at Bruce’s Field. Photo by Jenni Autry. EN reported that top international riders were looking for catch rides for the inaugural $50,000 LiftMaster Grand-Prix Eventing, which will take place March 1-2 at Bruce’s Field in Aiken, South Carolina. We are delighted to confirm that William Fox-Pitt will compete Hannah Salazar’s Sandro’s Star, the USEA Stallion of the Year for the last two consecutive years thanks to strong results with Chris Talley. Andrew Hoy is also reuniting with his London Olympic partner Rutherglen, whom he last competed at Millstreet in 2017. Since then, Rutherglen has been showing Isabel Finemore the ropes at Preliminary level, and they won the USEF CCI* Junior/Young Rider Championship at Virginia Horse Trials last fall. Scroll down to view the full provisional entry list. Note that this does not reflect the final entry list, as USEF will verify all entries for proper qualifications. The showcase is a USEF recognized competition held at Advanced level. Dressage will take place on the morning of Friday, March 1, using USEF 2018 Advanced Test B. Show jumping will follow on Friday afternoon with a course set at Advanced height and designed by Michel Vaillancourt. Cross country will be held Saturday afternoon on March 2. Capt. Mark Phillips’s course will run across approximately 2,000 meters with 20 total jumping efforts, including a water complex and banks. Click here for a sneak peek of the jumps, all of which have an Aiken theme. The full competition will stream live with commentary here on EN and on EQTV Network. General admission tickets cost $12 per day, or you can purchase a weekend pass for $20. Click here to purchase general admission tickets. VIP tickets cost $375 and include a champagne breakfast on Friday morning during dressage, drinks and heavy hors d’oeuvres on Friday afternoon and evening during show jumping, and lunch with an open bar on Saturday afternoon during cross country. Click here to purchase VIP tickets. Sponsorship packages that include VIP access start at $500. Click here to view sponsorship information. Are you planning to attend Aiken’s inaugural eventing showcase? Let us know in the comments below!